Being Nobody, Going Nowhere is the winner of the Christmas Humphreys Award for Best Introductory Buddhist Book. In this new edition of her classic best-selling book, Ayya Khema gives clear, practical instruction on meditation and techniques for overcoming counterproductive mental habits and beliefs. Through the simple practices detailed here, one can develop deeper insight, a sense of calm well-being, and a greater capacity to love and feel loved on a daily basis. 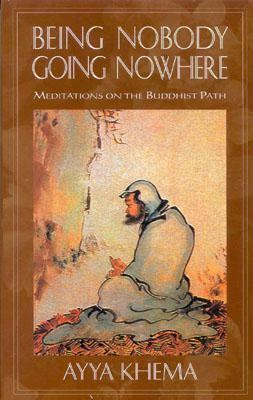 This incredible book also includes an eloquent, sparklingly lucid outline of the Buddhist path that can be understood and enjoyed by everyone.Khema, Ayya is the author of 'Being Nobody,going Nowhere' with ISBN 9780861710522 and ISBN 0861710525.